The Matisse B&B Rome is an elegant bed and breakfast that occupies a 19th century historic Italian palazzo on the famous Via Nazionale between Piazza Repubblica and Piazza Venezia. 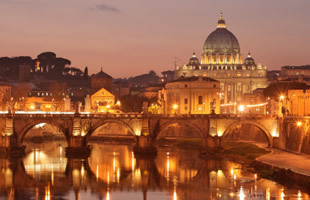 For those who don’t know Rome well, this means that the Matisse B&B is ideally located for guests to see many of the major tourist sites by foot, and also within easy reach of the city’s underground metro line A in order to see all other important sights. 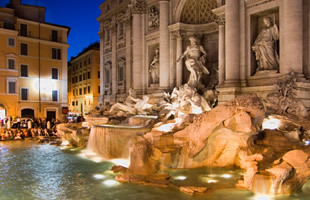 Although Rome is abundant in beautiful architecture, historic charm, ancient ruins and artistic culture, some highlights accessible by foot from our B&B include the nearby Opera House, the museum and gallery of the Palazzo delle Esposizioni, the Basilica of St Mary of the Angels, the Quirinale Palace, the Imperial Roman Forum, the impressive monument of Vittorio Emanuele at Piazza Venezia, the Coliseum and the Trevi Fountain to name but a few. 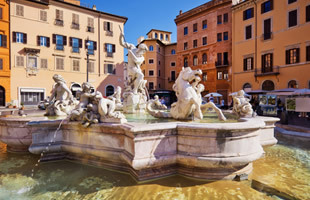 Via Nazionale itself is also a major shopping street, and the nearby district of Monti offers charming cobbled streets, a myriad of traditional restaurants and chic boutiques. Visit our Rooms & Services or Photo Gallery sections to appreciate the level of comfort you will experience here. Then pleasevisit our online booking system to enjoy our lowest possible prices through this, our Official Site. The proximity of Matisse B&B to Piazza Repubblica metro station and indeed to Termini Station – the transport hub of Rome – mean that guests can also take advantage of the underground network to be at all other major attractions within moments.